OK, first of all, I’d like to apologize for my extended absence. I’ve been moving. YES, MOVING! In this housing market I actually sold and bought a house. Well, buying wasn’t the problem. Selling is the trick. But it’s done. Let’s not talk about it. Let’s celebrate! As you can probably tell from my Pho Hot, Pho Hien Noodle Soup Co and To Chau posts, I’m a pho pho-natic. I’ve never had pho I don’t like. 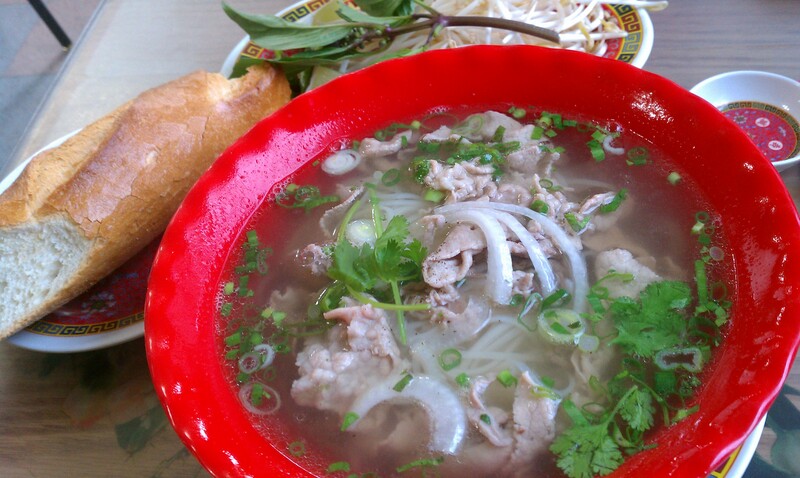 And I heard the bread at My Tho makes the experience that much more pho-ing fantastic! OK, enough pho puns. I’m done. Onto the review!